ASSISTANCE in the Lockyer Valley will be made more accessible to residents of all capabilities under a $250,000 upgrade committed to the community centre. The upgrade will make the centre compliant with present day standards by widening ramps, doors and updating toilets, which would increase the centres accessibility and inclusivity to all residents. 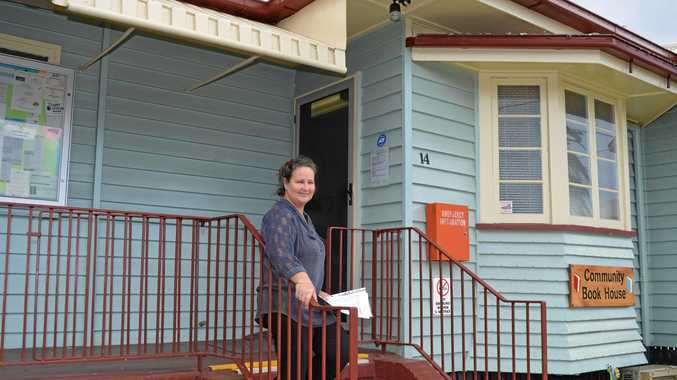 While official plans are yet to be confirmed, Lockyer Community Centre development worker Linda Roberts said upgrades would increase the potential to help those in need. "The biggest benefit for the community will be better accessibility," Ms Roberts said. Last year the centre connected with over 6500 people, more than 5000 of those were assisted within the walls of the community centre. Ms Roberts hoped the upgrades would be approved to ensure residents in need have adequate access to services. "It's so important because there is a risk of losing services like this in our region and if we don't get the upgrades there's lack of facilities in the region, so lack of room hirer," Ms Roberts said. "There's not a lot of places services can come and rent rooms out and enable them to deliver and have a presence in the region so that will be a big importance for the upgrade." The site currently provides a home for more than 11 service providers, who provide a range of assistance from financial to emotional support. Legal aid, justice of the peace, mental health, technology classes, domestic violence and homelessness are all services the centre provides support for. The extra spaces would move classes and consultations away from the kitchen table and into a private room. "The upgrade will meet our demand that has increased for room hirer in the region," Ms Roberts said. "It will assist and enable other organisations to have a presence in the region and provide more services." Ms Roberts said homelessness was fast becoming the major concern for the centre. "The biggest thing with people coming through the door is surviving financially to get by and as a result of that we are seeing a lot more stress from people," she said. "Homeless and low-income earners are struggling to get by with the rising cost of living. "Cost of living has increased that much over the past ten years, there been no increase in benefits in the past 10 years, all that is increasing the financial strain and stress on these families." Securing emergency housing is also a plan for the future for the centre to address the homelessness problem in the valley. Official plans for the community centre are subject to approval but it is confirmed the works would be completed in 2019.